Professional Affiliations | HWP Insurance | Howard W. Phillips & Co.
Our affiliations demonstrate our commitment to providing first-rate, principled service. Trusted Choice independent insurance agents are able to partner with a variety of well-respected local and national providers. This flexibility enables us to customize plans to fit each client’s needs,with a wide range of plans at competitive prices. Our membership in the leading organization for health insurance and employee benefits professionals signifies our commitment to promoting responsible business practices and advocating for the common interests of health insurance professionals. We also work to advance and enhance public knowledge regarding health coverage. As members of Associated Builders and Contractors, we not only demonstrate our construction industry expertise but also our long-standing commitment to the safety, ethics, and profitability of builders and contractor professionals. 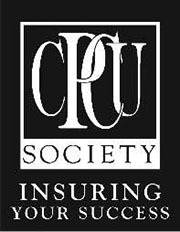 The CPCU Society advances ethical practices and continuing education for its community of chartered property and casualty underwriters. As credentialed insurance professionals, we are bound by high ethical standards that emphasize continuing education and fiduciary responsibility. We are bound by the common commitment of all NAIFA advisors to put our clients’ needs first. We understand the crucial role insurance plays in comprehensive financial management, promoting ethical conduct, demonstrable expertise, and a sound legislative and regulatory environment. As members of the Society of Financial Service Professionals, we share the commitment to creating financial security for both families and businesses. True to the values of the Society, we place our client’s needs first and foremost and only offer products and services that are in their best interests. The Chesapeake Regional Tech Council allows us to stimulate the exchange of ideas, increase expertise, and promote business and partnership opportunities across the industry. The resources provided by the CRTC help meet insurance professionals’ technological needs. Our partnership with the Fort Meade Alliance allows us to engage with the Fort George G. Meade community as well as the organizations and government agencies it supports. We act as a resource to promote programs that support Fort Meade.